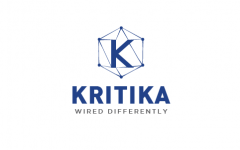 Kritika Wires IPO overview - Kritika Wires is an ISO 9001: 2008 certified manufacturer and supplier of high quality galvanized steel wires and wire products which are used by various clients in the government and private sectors like power, infrastructure, railway and many more industries. The products manufactured by the company are used for transmission and distribution of Electricity, manufacturing of concrete slippers, poles, bridges and other infrastructure facilities. It has two manufacturing facilities, situated at Dhulagarh Industrial Park, Kolkata, West Bengal. Kritika Wires IPO allotment status is now available on Link Intime's website. Click on this link to get allotment status.